Been a while since I posted one of these so hey, here goes! This sketchbook is really taking a while to be finished but I’m mainly working digitally now so that makes sense. Never gonna give up the sketchbook life though. Got a sneaky week of vacation I was owed from last year and I’m staying home to catch up on some work. Also, I’m pretty broke this month so win win in my book! Full set of scans for this sketchbook here. Been spreading myself way too thin recently. Need to prioritize better! 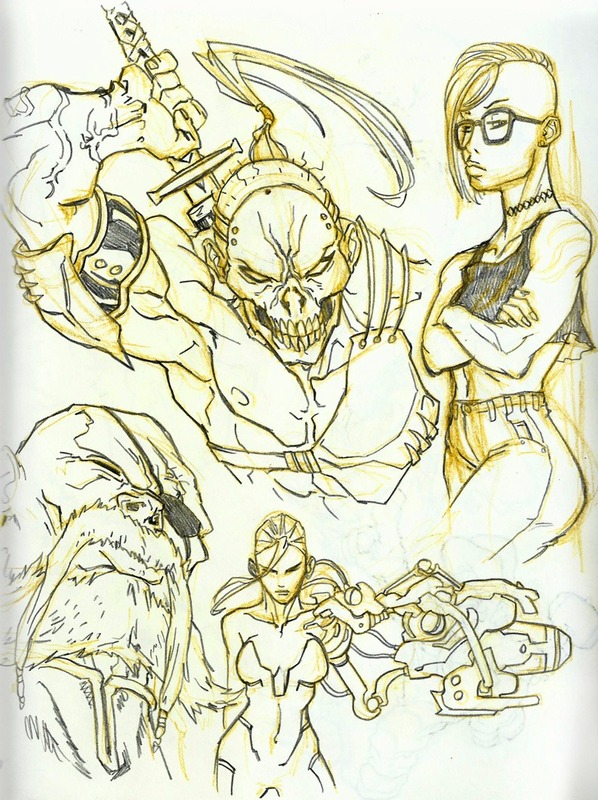 Full set of scans for this sketchbook here.